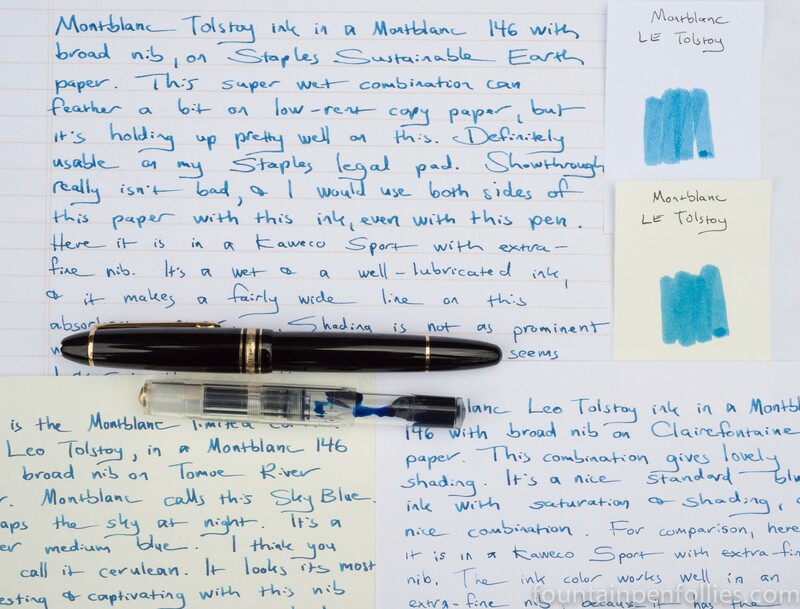 Montblanc’s most recent limited edition ink is called Leo Tolstoy Sky Blue. In most respects, Tolstoy Sky Blue is a standard medium blue, but it can be very impressive on the right paper. I’d want that ink alone just because it’s dedicated to Tolstoy… Glad I have Tomoe River!